Available as hybrid, plug-in or pure EV. Easy and relaxing to drive. Low running costs. Limited rear headroom. Hybrid has poor ride quality on some surfaces. Bland inside and out. Foot parking brake. 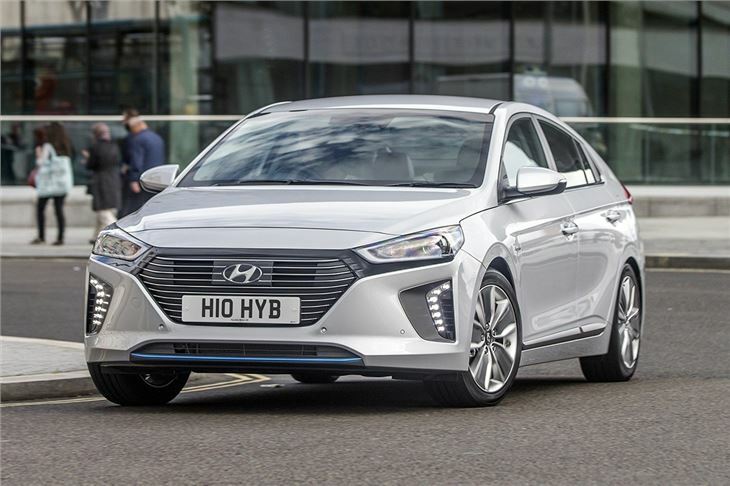 The Ioniq is Hyundai’s answer to the Toyota Prius, but it has a trick up its sleeve. Because there's the choice of hybrid, plug-in hybrid or pure electric power. That means there is a model to suit different drivers, whether they only drive short distances or regularly cover lots of miles. 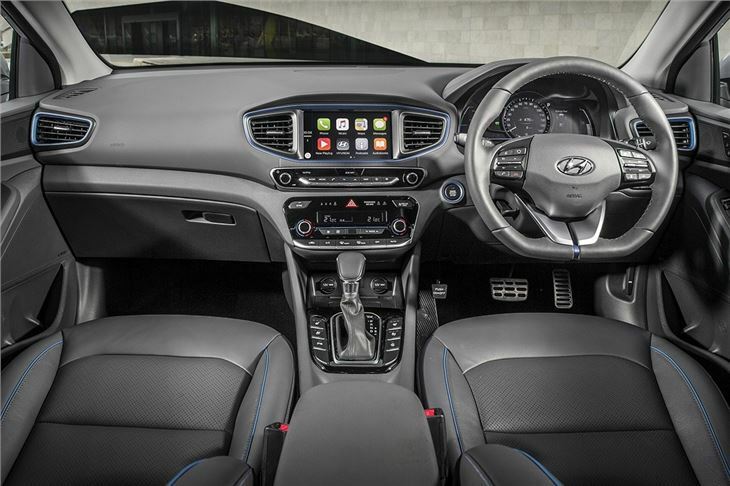 The cheapest model of the three is the hybrid, which uses a 1.6-litre petrol engine alongside an electric motor. It can run on electricity alone at low speeds or when cruising, but most of the time the petrol engine will be running. It’s reasonably quiet unless tasked with hard acceleration and the driving experience feels much like any other automatic car, since the gearbox is a six-speed dual-clutch, unlike the sometimes droning CVT used in the Toyota Prius. Official economy is 83.1mpg, with emissions of 79g/km. 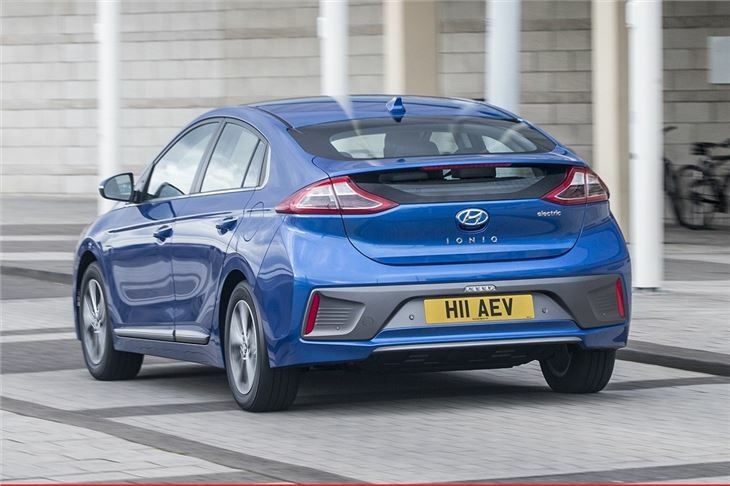 The battery-powered version, identified by its smooth front grille, has a range of up to 174 miles on a full charge. It’s extremely responsive at low speeds, making it a perky performer in town, but it also copes well at motorway speeds, helped by its very quiet cabin. It’s certainly quieter and more refined than the hybrid. 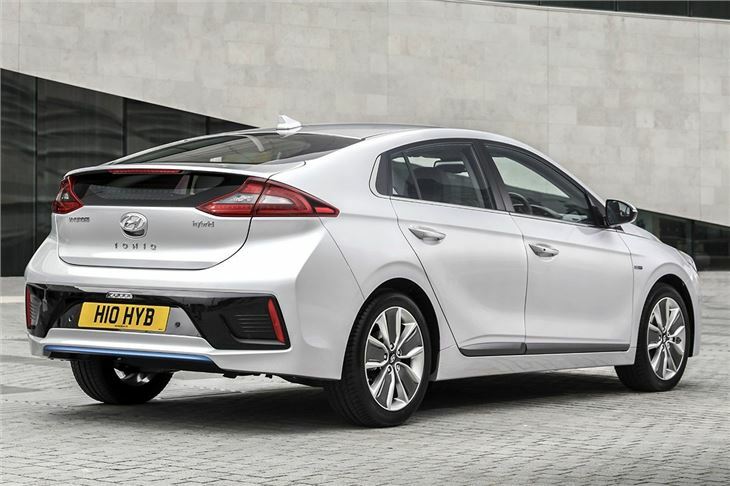 The plug-in hybrid version combines the best of both worlds, in theory – giving enough electric range to cover the average commute, but with a conventional petrol engine to take over when travelling further afield. 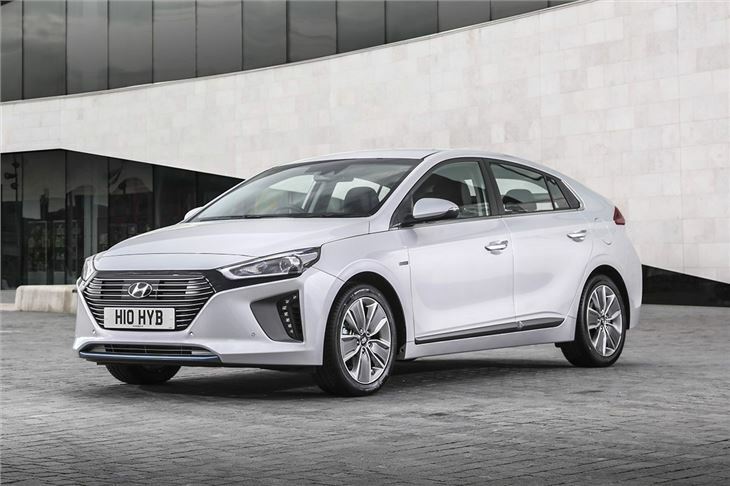 Inside, the Ioniq is neatly laid out, comfortable and comes with plenty of technology. There’s a standard-fit touchscreen, but you'll need Premium trim to get Android Auto and Apple CarPlay functionality, which means apps like Spotify and Google Maps can be accessed on the move. All models do come with adaptive cruise control, a parking camera, climate control and lane keep assist though. The back row provides ample leg room, but the sloping roofline limits head room for taller occupants, while the split tailgate glass restricts rear visibility. 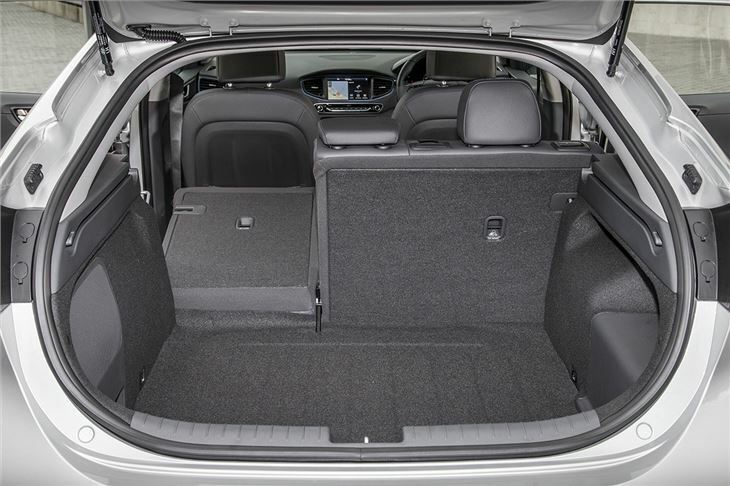 Boot space is ample for shopping or luggage, but is slightly restricted on the EV, owing to the larger battery pack. There’s also a couple of charging leads to haul around, though they’re not too bulky. 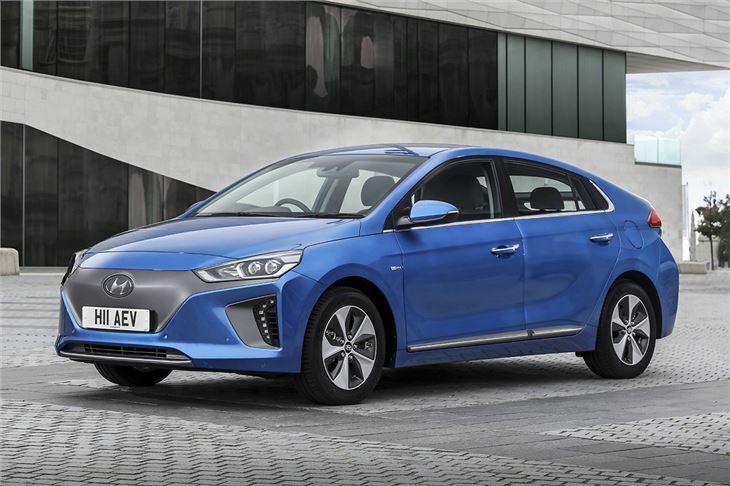 For those seeking an alternatively-fuelled car, the Ioniq is an interesting alternative to the Toyota Prius hybrid or Nissan Leaf EV. It’s competitively priced, very well-equipped and provides options to suit most types of driving, plus it comes with a reassuring five-year, unlimited mileage warranty. Sluggish on take-off & HARD to get "into" Electric mode"
Does exactly what's asked of it.